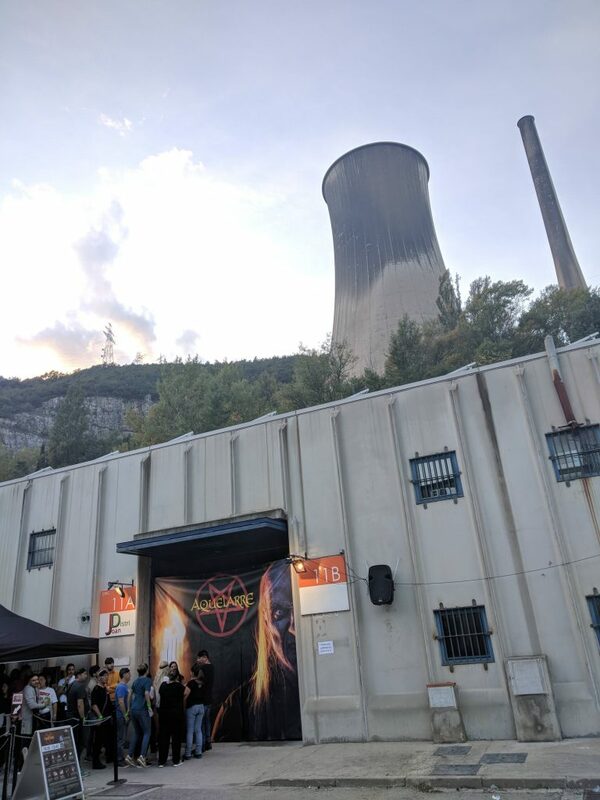 So on Friday we were again on our way to the area next to the power plant that houses Horrorland. Today the park was at it’s fullest capacity, and it was hugely notable through the whole night, so I recommend to arrive early at the place. The scares are there just after passing the entrance point! We had the general admission, no FastPass, and we weren’t able to do the 5 haunted houses. We could do 4 of them, for which we queued more than 1 hour for every single one… It was frustrating. We missed Aquelarre but as I did it at the press event, I was’t worried. 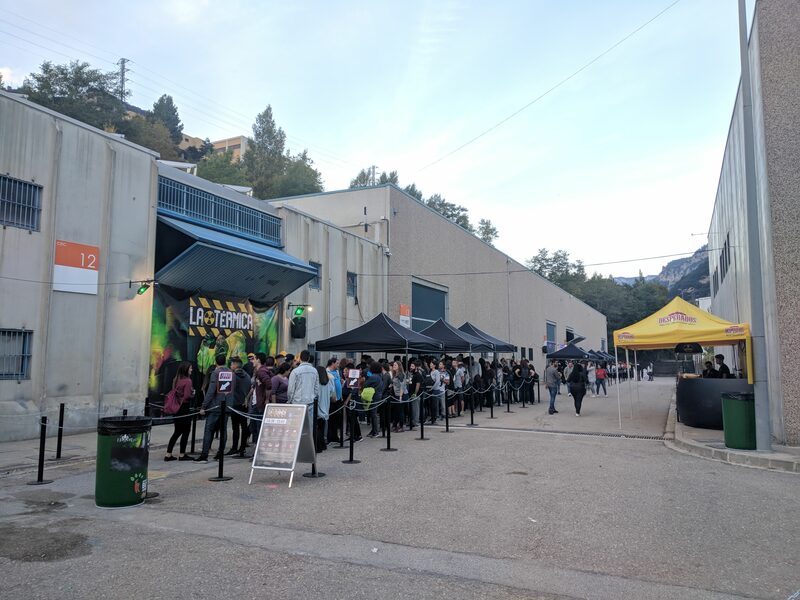 I heard people disappointing today though, so the experience hadn’t improved since the press event and the queue was terrible due to the capacity of this haunted house. I know the park is aware of this issue and it’s already working on improvements for a better experience. Black Out was the first haunted house we faced that day. I tried a little sneak peek in summer and here I finally tried the definitive experience! That’s why it didn’t surprised me that much as it did before, but I can’t deny that it’s a very fun and interesting concept. 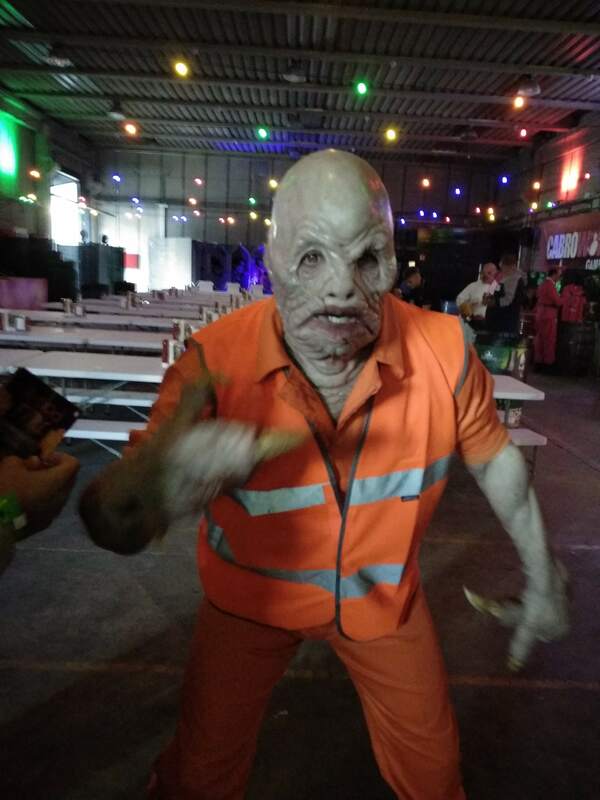 Despite having a zombies and military theme, it’s not your typical zombie experience. The obstacles inside are unexpected, as well as the moments of pure darkness if you’re not the one who carries the light. My only complaint is that I was expecting more actors for a more chance of scaring every position of the group. This is the only haunted house that is not suitable for wheelchairs, but that’s due to it’s nature, so I think it’s great they took this collective into account and let them also experience the rest of scares available at the park! And the last haunted house left to try is Clown Town 3D, a 3D maze set in a circus. This kind of maze is available all around the world, but it was the first time I had a chance to try one and I’m not disappointed! The 3D effect is crazy and you don’t really know what’s real. It features a cool effect after the caravan scene that I’ve seen in other events, I’m glad they also went for it at Horrorland 🙂 As a fun fact, all the inside has been painted by hand by a single person! As the park was at full capacity, the queues were long and went even outside the queue area and into the street, which was a bit confusing. My biggest complaint of the day are the long queues which doesn’t allow you to do all the mazes. You really have to organize yourself and prioritize, also see which mazes have shorter queues. Aquelarre and Matadero were the most busy ones, one because of it’s low capacity and the other due to its popularity. I completely understand that it’s so difficult to have an approximation of the limit at each maze, and it’s difficult to solve, even more if it’s a brand new park on it’s second operation day. That’s why I trust the park will come up with a solution that improves this issue. I’ve seen some changes on the haunted houses since the media event, both for good and for bad. 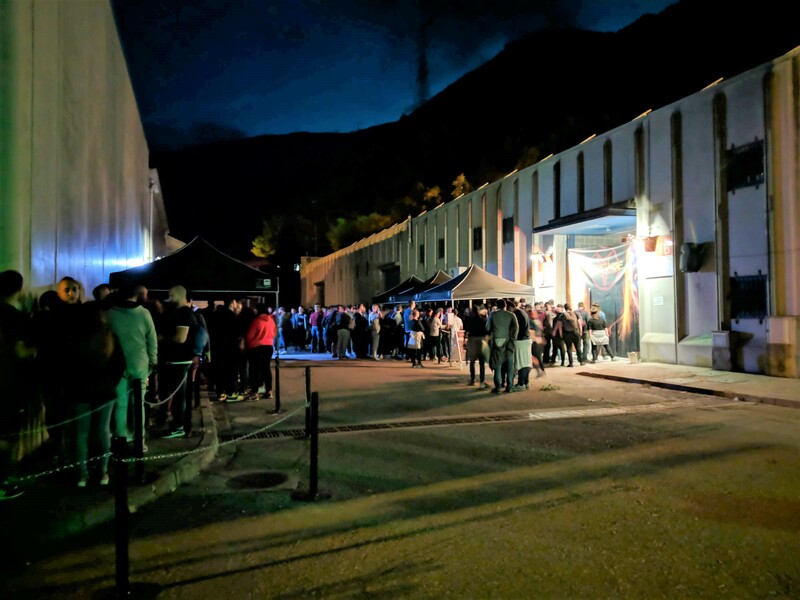 La Térmica has been improved with new effects but on Matadero, the queue was so long at the end of the night that they had to enlarge the groups. On media night it was 6 people, all could been marked. Tonight the groups were 10-12 people, only 5 of which could be marked. That’s unfair for the whole group because the fun of this maze is to get marked, and in some times it’s not possible, that can lead to disappointment and you don’t really experience the haunted house as the creators imagined it. I have to say that this time I didn’t got market at the entrance but once inside, an actor approached to me and marked me at that moment, so that’s nice to experience! Matadero: totally indispensable, you need to experience it with the extra. La Térmica: really good and original theming and unique rooms, the start is frightening. Clown Town 3D: fun haunted house, good implementation of the 3D effect and creepy animatronics. 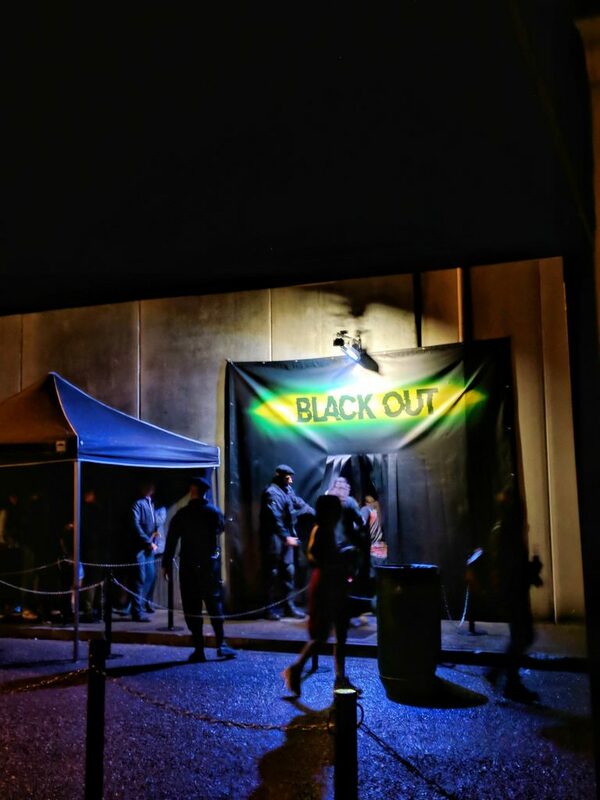 Black Out: good concept, not so original theme, but fun and claustrophobic for most people. Aquelarre: clearly the weakest of the five, but I hope that it gets to the level of the others once it’s been reworked and improved. To finish the day, there’s a parade named Blood and Fire with all the characters from the mazes and Mortimer as the big star. So, is Horrorland worth the price? It’s a difficult answer. Traumatica at Europa-Park, for example, costs 32€, compared to Horrorland that was 35€ in summer and 45€ now (all prices on general admission). But we have to understand that Horrorland is a totally new concept here in Spain, and that it has been made by 2 small companies, 4 people! 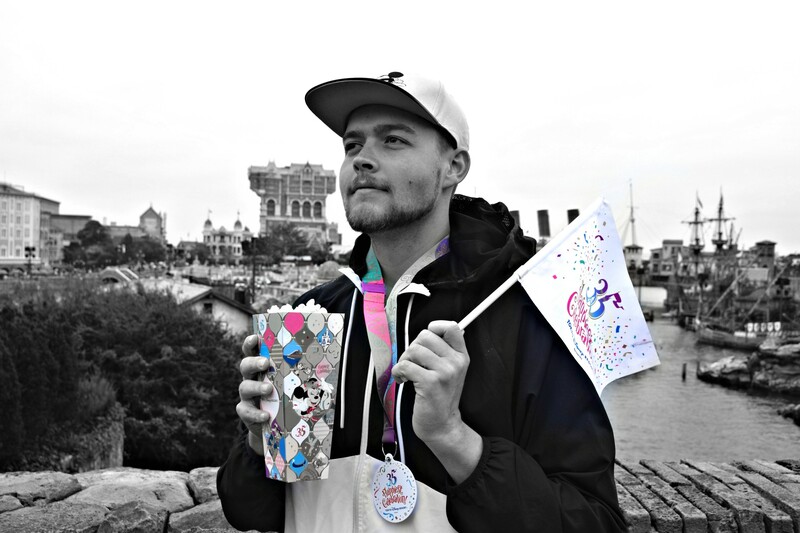 They don’t have any big brand with money as most theme parks in Europe with Halloween event. They didn’t had a location and they got one, they created all the concepts for the mazes and raised money to create this park, because they thought it was worth to . They created this from scratch, and I think it’s not comparable to consolidated events in big European theme parks. It’s their responsibility now to work hard and improve this new born park. In this article I’m talking about my experience the first days of operation. I’ll be back close to the end of the event and then I’ll see by myself the evolution of this project. I’m excited to discover what they do to improve it. Thanks so much for reading our Horrorland review! Please keep in mind that all images found on this site, unless otherwise stated, are owned by California Coaster Kings! Sharing them is fine, but only if credit to californiacoasterkings.com is given!